Everyday, Essex County Place posts a photo taken in one of the 22 towns in Essex County. This photo shows fog in South Orange. This photo was taken in South Orange. 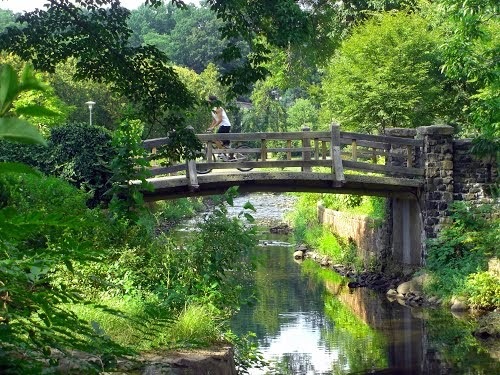 This photo was taken at South Mountain Reservation's Campbell's Pond in Millburn. This photo was taken near Franklin Avenue in Nutley. This photo was taken on Springfield Avenue. This photo shows Columbia High School at night. This photo shows Memorial Park in Maplewood. This photo shows the former SORS headquarters at the Third and Valley construction site. This photo shows what remained on Friday afternoon (4/4/14) of the South Orange Rescue Squad building. This photo shows Bramhall Terrace at South Mountain Reservation. This photo shows the World War I memorial in South Orange Village. This photo shows flowers in South Orange. This photo was taken behind South Orange Middle School along the East Branch Rahway River. This photo was taken at the South Orange Train Station on Sloan Street in South Orange. This photo was taken at Memorial Park in South Orange. This photo was taken at South Mountain Reservation on 3/20/14. This photo shows the construction of the Gateway building in South Orange. This photo shows sunrise at Farrell Field in South Orange. This photo shows a squirrel at Memorial Park in Maplewood. This photo was taken at sunrise in South Orange. This photo shows the ribbon-cutting ceremony at the Main Branch of the Maplewood Memorial Library on Wednesday 3/12/14 in honor of the library joining the BCCLS library system. This photo shows the steps at Hemlock Falls covered in snow earlier this Winter. This photo was taken at South Mountain Reservation in Maplewood near Hemlock Falls. This photo shows Columbia High School and parts of both Maplewood and South Orange as seen from South Mountain Reservation. This photo was taken in February after a major snowfall in South Mountain Reservation. This photo was taken from the parking deck at 76 South Orange Avenue. This photo shows an entrance to Village Hall in South Orange. This photo was taken near Hemlock Falls at South Mountain Reservation in Maplewood. This photo was taken in Memorial Park in Maplewood. This photo was taken on W Parker Avenue in Maplewood. This was was taken on Maplewood Avenue after a recent snowstorm. 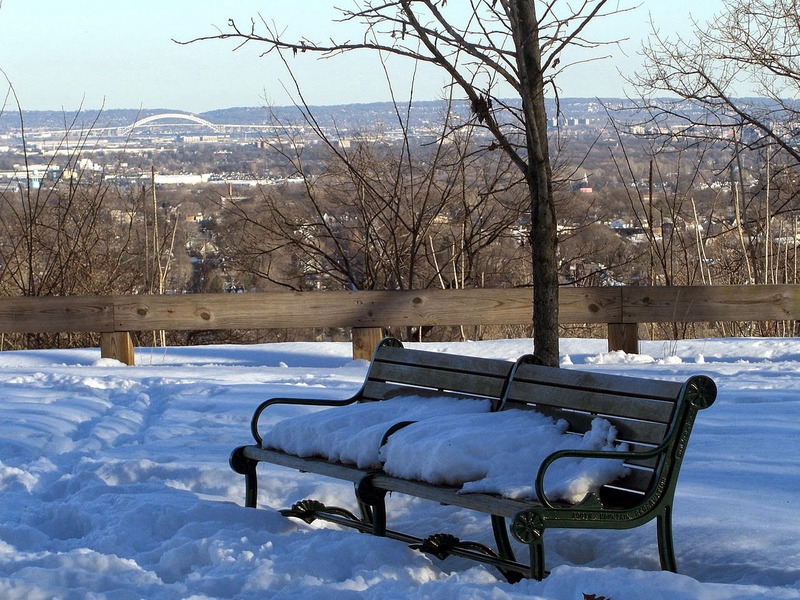 This photo shows a park bench at Memorial Park in Maplewood. This photo was taken of Columbia High School on Valley Street near the Maplewood/South Orange border. This photo shows the South Orange Fire House on the bottom left, with the homes on Crest Drive in South Orange up the hill. Photo taken at Academy & 1st Streets in South Orange. This photo shows parts of Maplewood as seen from SMR. This photo was taken at night at the Duck Pond at Maplewood Memorial Park. This photo shows South Ridgewood Road in South Orange after a recent snowstorm. This photo shows the Maplewood Municipal Building on Valley Street in Maplewood at night. This photo was taken at the South Mountain Reservation's Crater View. This photo shows Crest Drive at South Mountain Reservation. This photo shows Maplewood Middle School as seen from South Mountain Reservation. This photo shows several neighborhoods of Maplewood as seen from South Mountain Reservation. This photo was taken at South Mountain Reservation. This photo shows a gaslight on West End Road in South Orange. This photo shows the South Orange Village Public Works Department clearing snow at the corner of West End Road and Western Drive in South Orange. This photo shows South Ridgewood Road in South Orange during a snowstorm. This photo shows the path linking South Orange Avenue to a parking lot during a recent winter storm. This photo shows South Orange Avenue on a snowy day. This photo shows snow on South Ridgewood Road in South Orange, NJ. This photo shows snow in South Mountain Reservation. This photo shows the steps down to Sloan Street from the eastbound platform of the South Orange Station covered in snow. This photo shows snow on Kingsland Terrace in South Orange. This photo was taken on 2/3/14, and shows an NJT train leaving South Orange during the snowstorm. This photo was taken under the South Orange Train Station on South Orange Avenue on 2/3/14. This photo shows the entrance to South Mountain Reservation at Crest Drive and South Orange Avenue in Maplewood. This photo shows snow on the East Branch of the Rahway River as it passes through Memorial Park in Maplewood. This photo shows Cedar Lane, one of Maplewood's only remaining cobblestone streets, covered in snow. This photo shows snow above Hemlock Falls at South Mountain Reservation in Maplewood. This photo shows snow on the trail to Hemlock Falls in South Mountain Reservation. This photo shows the Maplewood Train Station after a January snowstorm. This photo shows a gaslight in South Orange on a snowy day. This photo shows Parker Avenue in Maplewood during the snowfall on 1/21/14. This photo was taken near Hemlock Falls in South Mountain Reservation. This photo shows the playground at Memorial Park in Maplewood covered in snow. This photo shows a Hoboken-bound train pulling into Maplewood Station on a snowy January day. This photo shows the last building from the Dickens Village in Maplewood being hauled away by DPW workers.